Most remembered for its use of “squiggly” animation, Dr. Katz was a deep look into the lives of a therapist's extremely neurotic list of famous patients and family members, most of which were comedians and actors. 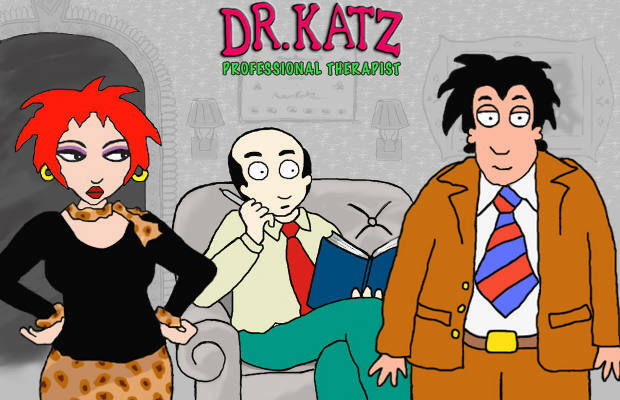 With its more cerebral subject matter and niche humor, Dr. Katz wasn’t a typical animated sitcom, but it was definitely one of the most refreshing. With a stout list of guest-stars (including Ray Romano, Dave Attell, Louis C.K., and Jon Stewart) and offbeat humor that pokes fun at the monotony of life, Dr. Katz was a dream for fans of comedians like Woody Allen or Jonathan Katz himself. Clocking in at over 80 episodes, this show was critically acclaimed at the time of its original run, but it's almost impossible to find reruns of it now.